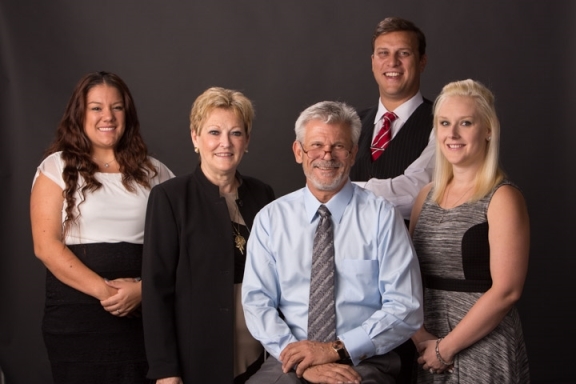 We Are the Desert Cities Expert Divorce and Family Law Attorneys! Guaranteed Dedication, Energy, and Determination! The experience of physical separation and divorce is one of the most financially complicated and emotionally traumatic crises that a person may encounter. With the U.S. Census Bureau estimating that half of first marriages end in divorce, it is also one of the most common. Feelings of fear, helplessness and exhaustion are normal. Surviving the break-up of intimate relationships and understanding how to apply a solution's based approach to family law disputes seems daunting. The divorce professionals at the Law Offices of Thurman W. Arnold want to guide you through your relationship conflict in a holistic fashion, without sacrificing your needs and safety. To be effective resolution strategies must be honest, cost-effective, and tailored to your circumstance. We offer you exceptional allies to aid you through this transition. Whether negotiating a settlement or conducting litigation, we reliably inform your choices, and so ground the process. We handle cases involving division of marital property, spousal support, child custody and many others. Even in complex and high-conflict circumstances like family relocation, non-parent custody rights, mental health considerations, or valuing and dividing professional practices and family businesses, we have solutions that will assure that you receive your just share of the community estate. You will obtain an appropriate amount of spousal support without regard to gender. Why Hire the Law Firm of Thurman W. Arnold? Thurman W. Arnold is a Certified Family Law Specialist, which means that he has earned the right from the State Bar of California, Board of Legal Specialization, to hold himself out as a family law expert. Not only do such specialists take a second Bar Examination that tests their comprehension of complex family law matters, they must pass an exhaustive review of their courtroom trial experience and professional ethics - including evaluations by local judges. Thurman has received an "AV" rating from the Martindale-Hubbell® Registry of Preeminent Lawyers™; the "AV" rating signifies that he has achieved the highest level of professional excellence as a family law attorney. Similarly, he is rated as "Superb" by Avvo, both in terms of professional accomplishments and client satisfaction. He was named a California divorce Superlawyer™ in 2015, 2016, 2017, and for 2018. He is a Fellow of the American Academy of Matrimonial Lawyers™ ("AAML"). Our team of divorce professionals includes Michael C. Peterson, who also is a Certified Family Law Specialist and rated "Superb" by AVVO. He recently was recognized by Thomson Reuters Super Lawyers™as a "Rising Star" who is under the age of 40 years! Together Thurman and Michael enjoy bringing order to complicated property, support, and custody disputes! We invite you to peruse our "Testimonials" pages to inspect what hundreds of legal consumers like you have said about our firm. Our Enlightened Divorce Blog™ gives insights into our divorce and family law philosophies, but also provides a ton of free information. You may find it of educational value. For those with cases pending in Riverside and San Bernardino counties, your initial 30 minute consultation is free and without obligation. If instead you are looking to have a fresh conversation about your case but live far, far away, we are available for discreet Second Opinions and consults for California family law litigants, on an hourly basis that you control! 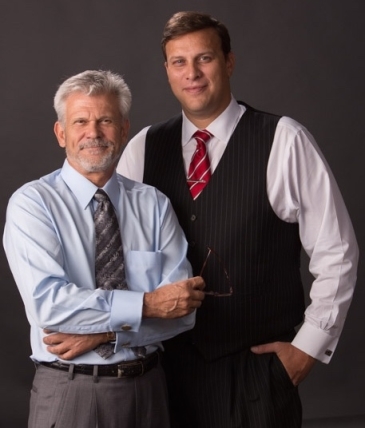 Contact Attorneys Thurman W. Arnold III and Michael C. Peterson! NEED HELP LOCATING A DIVORCE OR FAMILY TOPIC TO YOUR SITUATION? We serve divorce and family law clients particularly within the desert cities of Palm Springs, Palm Desert, Indian Wells, La Quinta, Rancho Mirage, Joshua Tree, Blythe, Hemet, Twenty-Nine Palms, Cathedral City, Indio, Desert Hot Springs, Yucca Valley, Riverside, and Rancho Cucamonga!